John was born in Zimbabwe and spent most of his youth on a remote ranch, where he acquired bush skills from his daily interaction with the local people. He has spent the past 15 years guiding in Zambia, Zimbabwe and Botswana and has acquired an all round knowledge of animal behavior and wildlife.John is a keen photographer with a specific interest in birds. 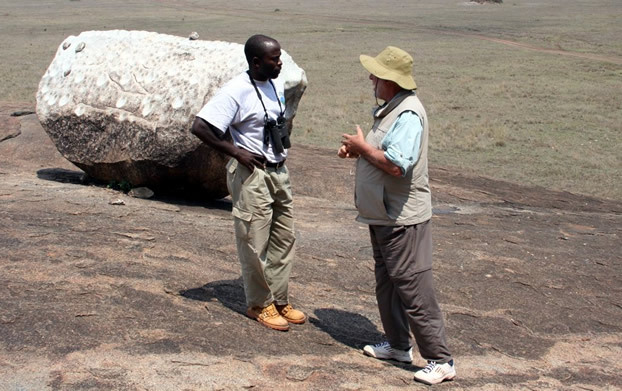 He has escorted a number of prominent visitors on safari including the Japanese Imperial family. His services are often used by various museum, zoo and wildlife support groups. John imparts to guests his genuine love for the African bush and enjoys sharing his knowledge with those interested in wildlife.